A gentle massaging of the ears using natural Hopi Ear Candles to relieve tension from sinuses as well as helping with many other symptoms. 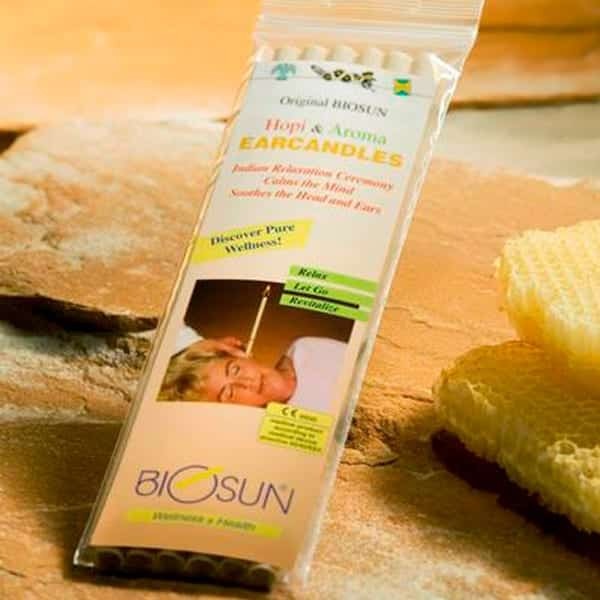 Hopi Ear Candles have been used for many years to help induce balance of pressure in the ears, forehead and sinuses. It is soothing and helpful for earache, headache and sinusitis, ear noise and stress. Ear Candles have a purely physical function. The candle is placed into the ear and lit at the end, as it burns down it creates a light suction (chimney effect) generating a massage like effect on the ear drum. The pleasant feeling of warmth from the candle is wonderfully relaxing and great before going on an aeroplane to help relieve pressure from flying.